Click here to Join or Renew Online Today! 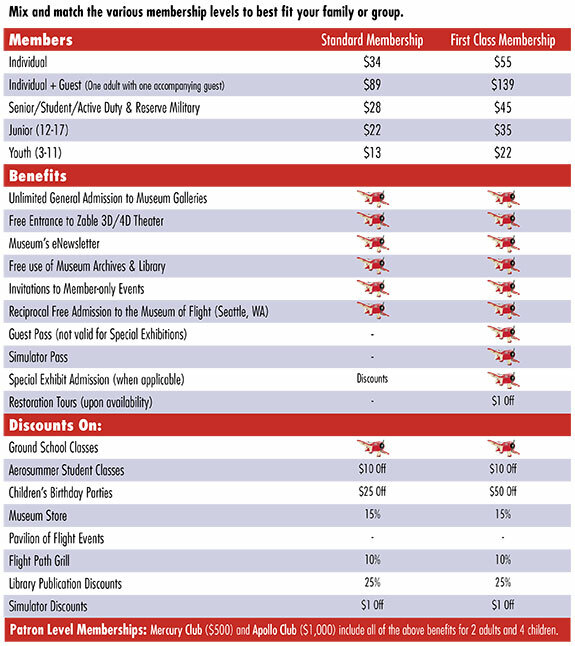 Reciprocal free admission to the Museum of Flight, Seattle, WA. Your gift of membership - for your family, friend or colleague - wraps a whole year of exploration, education and adventure in the perfect package. Click here to give a gift.